Kratos, the God of War, debuted in 2005 and created a revolution. As a character, he was brash, bold, and vulgar. He was a man tormented by his past, and his adventures chronicled some of the most violent tales ever told in gaming. It used Greek mythology as its framework and allowed players to slice up many enemies over the course of the franchise’s console and portable incarnations. Its mix of action and puzzle-solving was often-imitated, but never quite duplicated with games like Dante’s Inferno trying to do similar large-scale action-adventure games and falling short. The franchise itself never had a bad game – and all of its entries were some of the best-looking games on their platforms. However, something wound up going a bit wrong with the franchise. While no entries were lacking in quality, they were suffering from feeling a bit too similar. This familiarity helped the portable entries quite a bit since even having a large-scale fast-paced action/adventure on the go was something new, but the core formula never quite changed. 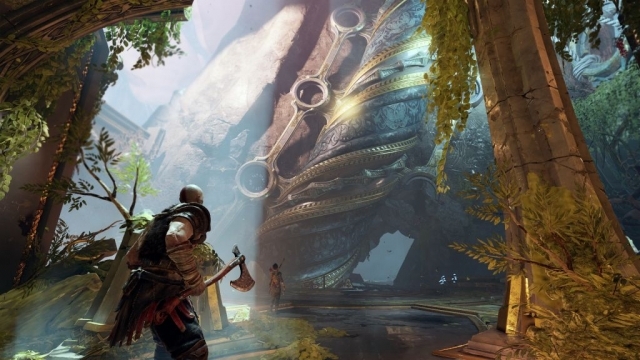 God of War III raised the scale, while 2013’s Ascension added multiplayer to the mix. Still, after eight years, it felt like there was nothing that could be done to freshen up the series. Fortunately, 2013 also marked the release of The Last of Us – which changed single-player narrative storytelling in gaming – and whose influences has been worn by games like Horizon Zero Dawn and now the re-imagining of God of War as well. 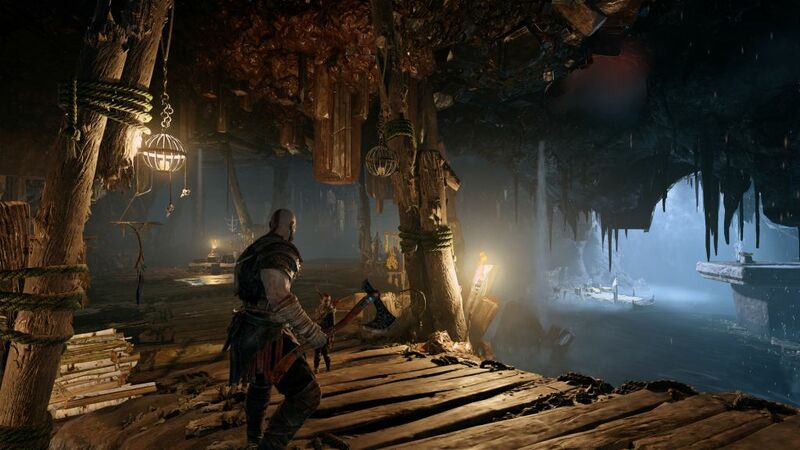 This new God of War follows prior events and sees Kratos at an older – but unknown age. He is training his son Artreus as they lay Artreus’s mother to rest and needs his son to be as strong as possible so they can ascend the mountain and spread her ashes. 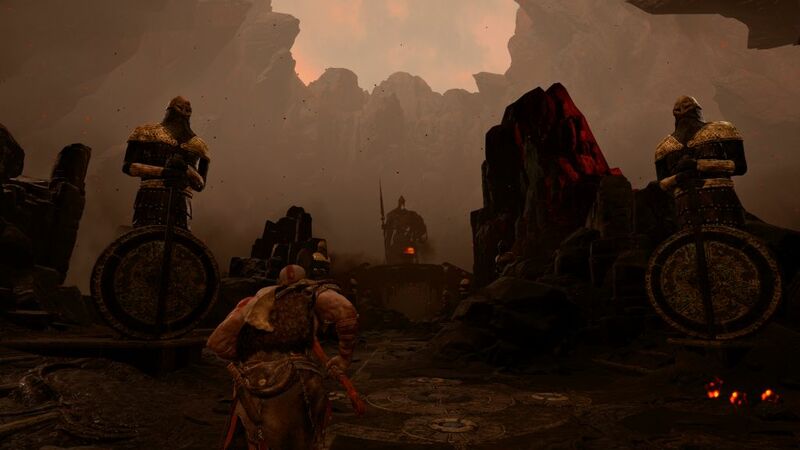 It’s a touching tale and one that humanizes Kratos more than prior games – where he was shown to have remorse for his past, but it came out in pure anger towards all who opposed him. The new Kratos is calmer and gentler on a minute-by-minute level, but every bit the head-tearing badass when the time comes. The “Dad of War” moniker that has haunted him since this revamped version of the character is somewhat accurate – but does miss the point of this character being a more mature version of the one we’ve seen before. 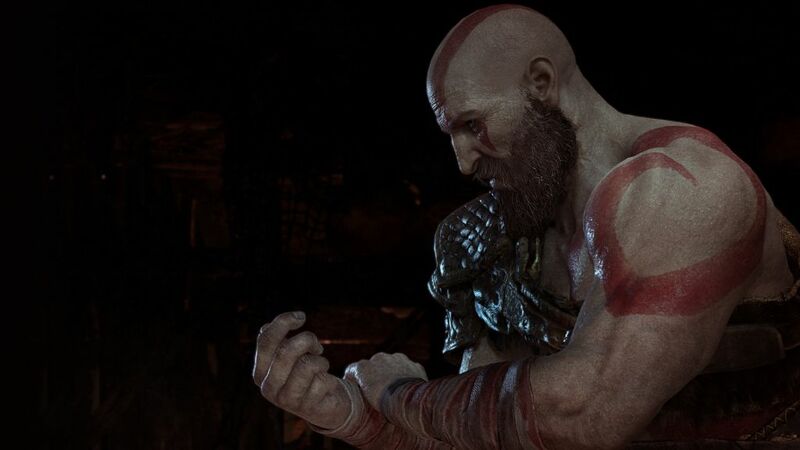 Kratos has evolved as a person, and is doing his best to make up for his past by teaching his son the best way he can – by being firm, but fair. 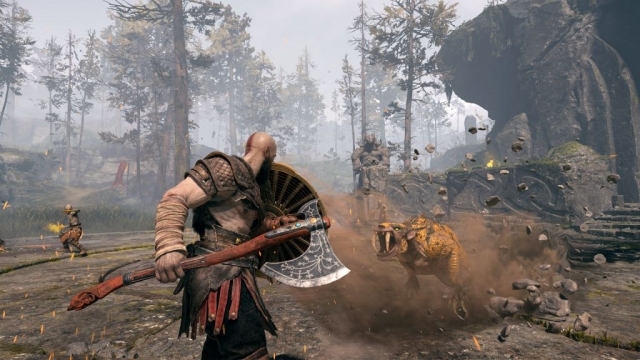 He wants Artreus to do well and is open to giving him praise when he’s doing something that Kratos cannot do – like translate Norse text throughout the world. Artreus is essentially an assist character and helps in battle, which further tells a story of Kratos being more mature. One big criticism of the prior GoW games was that no matter what skill tree upgrades you went with, you could just do basic combos and not even pay attention to what you were doing (on lower difficulty settings anyway) and do well. The new Kratos mocks a bit of that approach with Artreus trying to just attack without thinking and paying for it by losing a kill. He teaches him, and the player by proxy, about the importance of timing your attacks and focusing on the quality of the hit and not the sheer quantity of them. The chains of Olympus are gone and in their place is the mighty leviathan axe. He wields this axe with great power and brings up the importance of accuracy over anything else with both this and the bow and arrow that Artreus uses. While pre-release comparisons have been made to the Souls/Bloodborne style of gameplay with its level of accuracy, the actual game is far more forgiving. 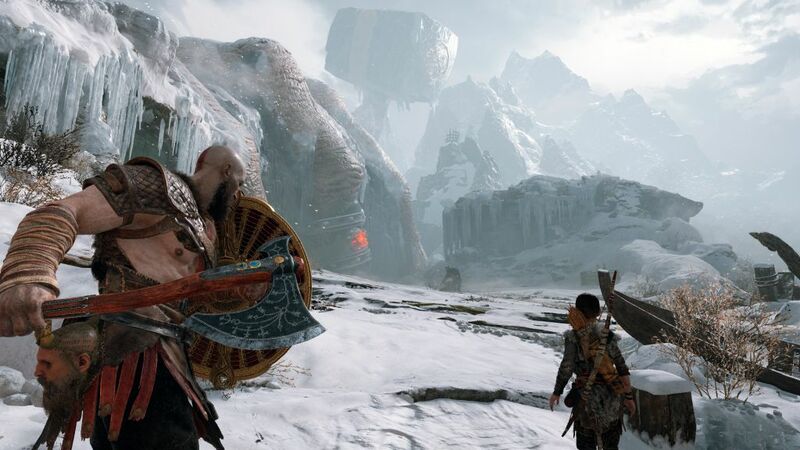 The core God of War formula of combat/puzzles is intact – but with a far greater emphasis on the narrative. The game itself plays out a lot like Horizon Zero Dawn, with Kratos in the original role of Rost and Artreus in Aloy’s place for a more recent comparison. There’s a teacher/student element at play and the sense of large-scale battles that have defined the series since its very first boss battle remains. God of War keeps everything that made the franchise what it was while also molding it into a new image. If you loved the visceral thrill of destroying waves of enemies before, you’ll still enjoy it now – and you actually have more ways to maim foes than you did. Skill trees are still present, but the axe gives you a weapon you can now throw and use to anchor in an enemy and then pull out for double damage. It’s also a handy way to solve puzzles and throw enemies into dangerous hazards – like spike traps that litter the world. Artreus and his trusty bow and arrow come in handy for assists and while he isn’t likely going to slay many foes at first, he does gain skill and confidence as his experience grows. Each character in the game grows as time goes on and the cast is kept fairly small – focusing on making sure every character is memorable and not cramming too many in and watering down the narrative. Visually, this is one of the PlayStation 4’s finest showcases. The character models look realistic, with Kratos’s muscles and frame showing both great size but also the wear and tear of time. His face has aged quite a bit and his scraggly beard has a salt and pepper mix to it showing that he’s been through a lot. His facial expression is a never-ending scowl to some degree – and his tone is usually sterm, with hints of approval for his son. He remains a stoic character, and one that fits into his new Norse settings quite well. Everything is scaled for the world and nothing looks out of place – however, some breaks in reality do occur with collision where Kratos will have his arms go through things or items won’t react realistically (or at all) to being hit with the axe. It’s a minor issue, but one that does hurt the immersion ever so slightly. As expected given the franchise’s past, God of War’s sound design is incredible. The voice work is strong with nearly every character being played straight and fairly well-acted, while the soundtrack remains epic. Some of the NPCs could use some work, but the characters that are plot-critical are pitch-perfect. Speaking of which, a slew of horns and trumpets accompany your actions – with more subdued moments being left silent or with only environmental ambiance. The latter works surprisingly well as a way to build suspense since you can sometimes hear enemies nearby – but can’t see them and then you’ll progress and find yourself in a heated battle. The soundtrack itself gets your blood pumping when it needs to and the game plays with your emotions perfectly with its sound design. 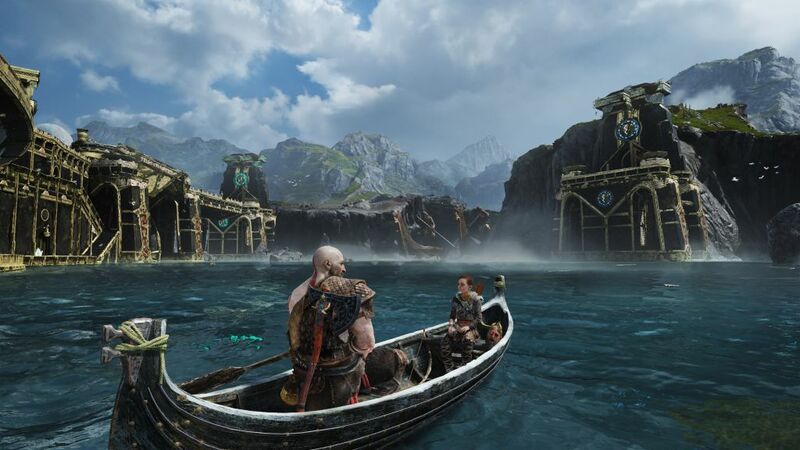 God of War is a fantastic continuation for the franchise and exactly what it needed to feel fresh again. While it may seem ironic that it gains this by using bits and pieces from other Sony-published games, Sony has defined their single-player campaign games with a particular style and it’s worked wonderfully so far. 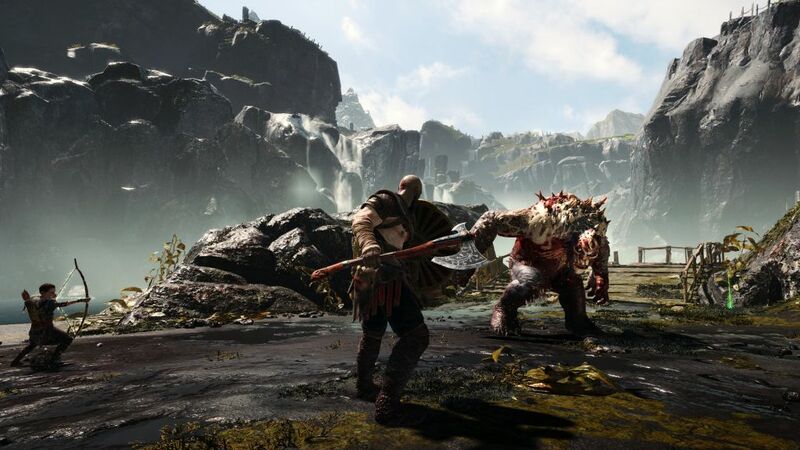 God of War has a far grander scale than either Horizon Zero Dawn or The Last of Us and tugs on different emotional heartstrings while still making you care about the cast. 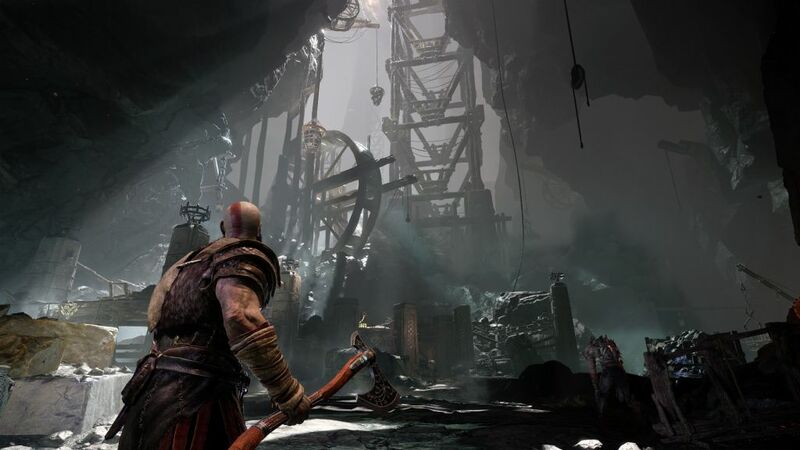 This is the best incarnation of Kratos yet and one of the finest experiences on the PlayStation 4. 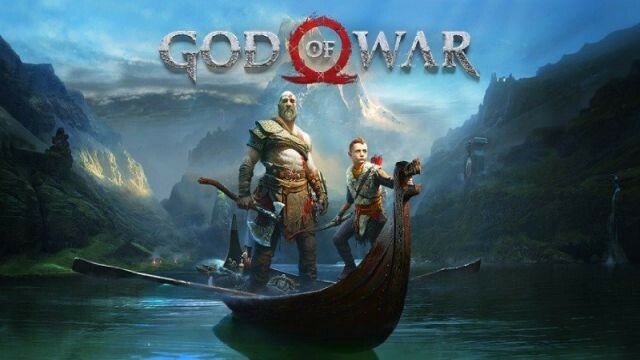 This review is based on a digital copy of God of War for the PlayStation 4 provided by Sony Interactive Entertainment.